Time to spellebrate Legacy Day at Ever After High! At this epic event, the teenage sons and daughters of famous fairytale legends will pledge to follow in their parents' fabled footsteps… but tradition is about to be turned on its crown! 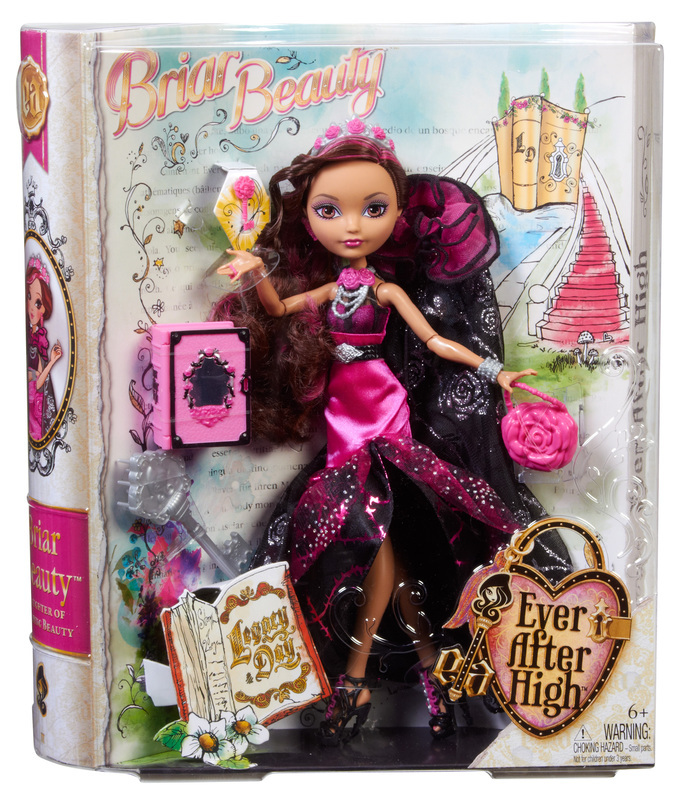 Briar Beauty doll, daughter of Sleeping Beauty, is truly dreamy in her pink and black rose-detailed cape and gown. 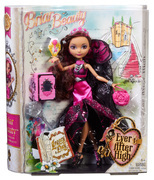 Briar doll also comes with a doll stand, doll hairbrush and book to store spellbinding accessories. Ages 6 and older. Briar Beauty, daughter of Sleeping Beauty, is ready to seize this Legacy Day in her hexquisite rose-inspired cape and gown! Briar"s dreamy gown and cape feature her signature pink and black colors and are rich with rose embellishments and spellbinding silver details. Her beautiful crown and necklace sweetly accessorize her look, which is completed with her rose purse and strappy heels.o Her floor-length cape adds sparkle with silvery accents and femininity with a floral print that is showcased with a pink flower-shaped purse and strappy platform wedges. Each doll also comes with a key (to safeguard her secrets) and a bookmark that tells her special story.